9th class math? a lot of things changes, when you enter your class 9, basically its a change in both the things one is in your course and other in subjects as well. There are so many problems students face while they start their journey of class 9. Some of them are like, how to become topper in class 9? study timetable for 9th class? how to prepare for maths exam class 9? study tips for class 9 CBSE? how to solve problems of class 9 maths? by listning all the problems i have decided to write a post on this? so this post is simply for your class 9 maths problems and tips for class 9 maths. its simple, if you will study and maintain a regularity in your studies then you simply going to score. you don't need to worry about that. just understand the topics, learn all the basics of class 9 carefully these all going to work for you in your future studies. it doesn't matter which subject you are going to prefer in future for your studies. 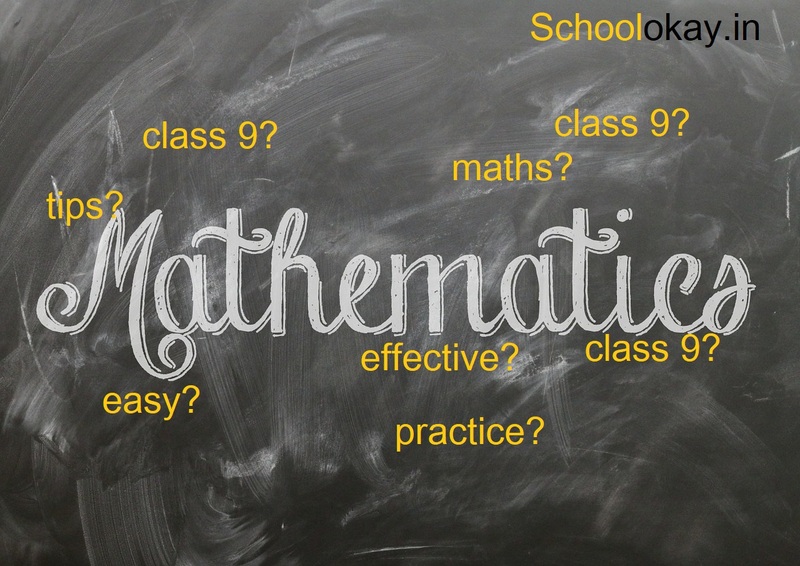 How to learn class 9 maths in an effective way? Maths a nightmare for so many students, when students enter their class 9, maths, becomes a complicated subject to handle. New topics are introduced and they are overhead, for that reason many students got failed in class 9 maths. what should be done to resolve this problem? 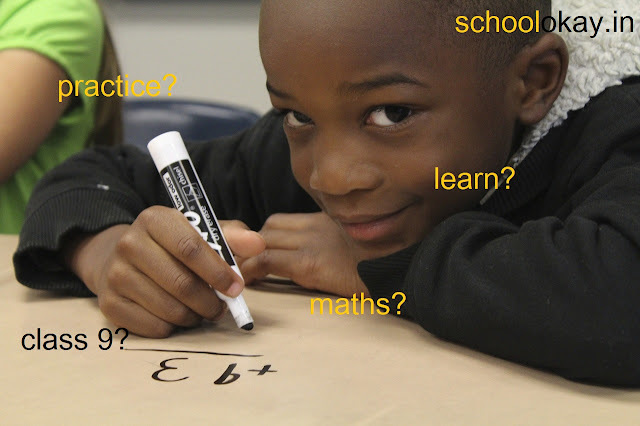 and how we can learn class 9 maths in a fast and effective way? 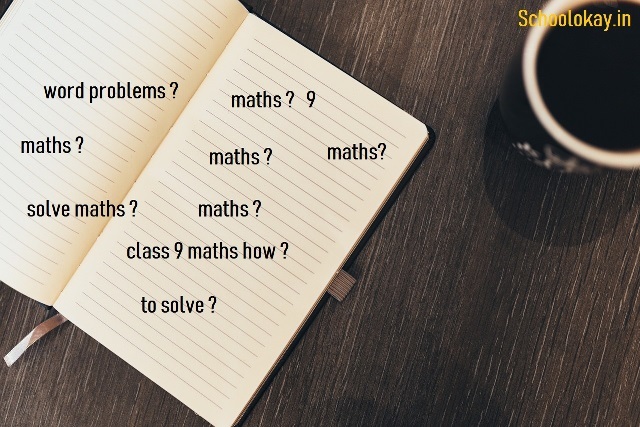 In this post, I am trying to discuss all the possible ways to learn class 9 maths easily. All these tips I am sharing I really work on them during my school time. Now I consider these as my teaching tips. First, you must understand there's no shortcut to learning especially in class 9 maths. for your higher classes 10, 11, 12 and above studies, class 9 maths going be base subject, all the competitive exams, you have a thought about, totally based on the basics of maths and your other subjects of class 9. I also discussed in my other posts that maths totally depends on practice, if you think that you can learn maths then its quite impossible and calculations cannot be learned. you should start practicing class 9 maths as early as you can. Solve NCERT examples first:- Start by solving NCERT maths class 9 examples, why examples? because, examples simply help you gaining command over the chapter, secondly most of the time CBSE give first priority to example questions in the exam. Now comes the most important thing in class 9 maths, formulas, each chapter is based on any formula or identity. The main aim of maths is to teach you, how to crack calculations? this is simply possible by developing control over the formulas. If you know the right formula at right time, then you definitely gonna score. once you get familiar with all the formulas of class 9 maths, then you can simply start solving maths. The more questions you solve daily the easier it will get for you. Give more time for maths if you have difficulty with maths. Solve more questions so that your concepts can be cleared. Take reference books that have an easy explanation of topics. Take Tuition and ask questions related to your problems with the teacher. Be attentive in the class during maths lectures. Discuss your class 9 maths problems with your friends. Solve a mock test of class 9 maths each Sunday. Start by solving easy topics. Don't mug up topics just work on your calculations. All the above tips for class 9 maths are totally effective and work for you. There is no shortcut learning, and if you are trying to learn something, it will surely take time. If you are thinking of learning maths in one night then it's not possible. it's the starting of your journey with class 9 maths it will surely take time. how to score above 90 in class 9 maths? tricks for class 9 mathsCBSE? How to learn and score in class 9 maths? 9th class NCERT maths book does not provide you complete info about the topic then you can just buy a reference book, which carries an easy explanation of chapters. you can just visit the other post, how to score in maths?